This was in the streets of Sasebo, Fukuoka early morning. Fukuoka was a last minute decision. 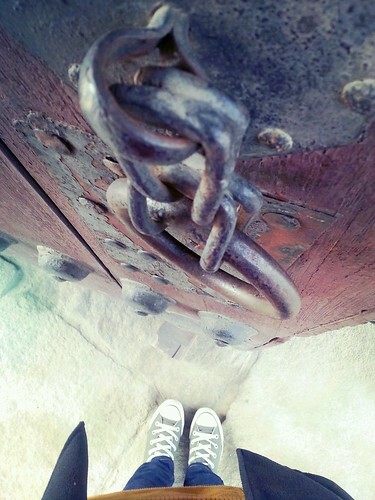 I had 6 short days ‘off+2 days leave’ and i didnt want to stay in Sg. Figuring Japan will still be considered a nearby country, why not. It was about 6hrs plus going up and about 5hrs plus coming down. I didnt really prepare much on the itinerary. I booked the flight tickets, and I then looked at the train map. I didnt know where to start, nor did i know where to end. 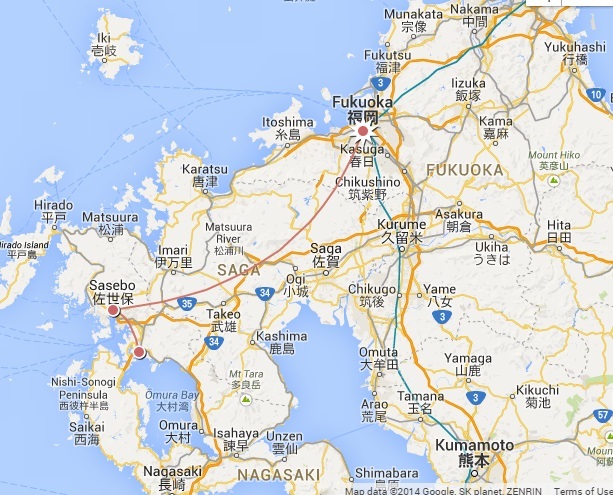 So i googled 10 Things to do in Fukuoka in TA. Lol, well, that was helpful, but that is how usually start to plan my trips after i had decided on the destination. So, 5 days in Fukuoka, I chose to go Huis Ten Bosch(for its Naruto displays and exhibits), the Kujukushima Aquarium in Sasebo, went around the Kujuku islands and Nokonoshima Island(which was amazing and a must go!). I should jot down all the details but i wasnt really in a holiday mood, so i didnt quite remember how we went about. 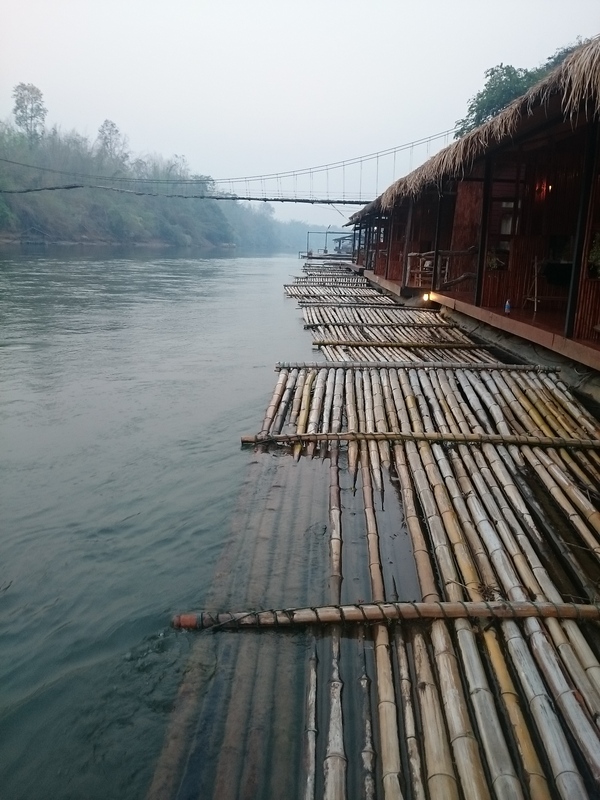 All i could remember was us deciding where to go there and then, and googled on the day itself on how to get to one place using the spotty wifi we received on every bus station we stopped. Getting lost, getting cold and getting hungrier were totally not the best combination. I must say Hakata is a town. You must venture out of Hakata ward to rural areas to get the best deal out of a Japan city. Fukuoka was overall okay. I mean if i had to choose on whether i should come back here again, i wont. Maybe just one more time and this time straight to the Takachiho gorge. Sigh. Soon, baby. Soon. 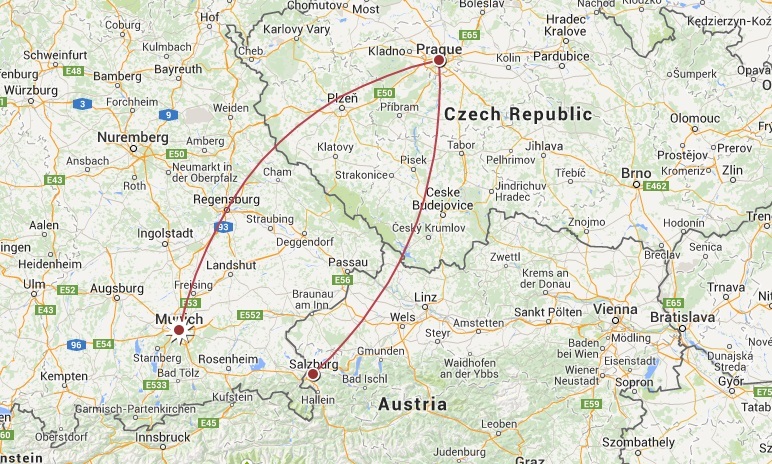 I am planning to go on a west-central Europe for 9 days. As usual, we are gonna do the backpacking style, as doing tours are just not worth the moolahs really. Below are the countries we planned to hit. 9 days arent exactly enough to go full throttle on each countries, so i figured that we’d better off go to the top-ten must sees places at each places. With the countries we intending to visit are somehow set, the next things to do are to book hotels and book train/bus tickets. Europe has so many trains companies, with each countries offering their own railway system. It’s super confusing, but when you get the hang of it, it’s pretty much the same and straightforward. 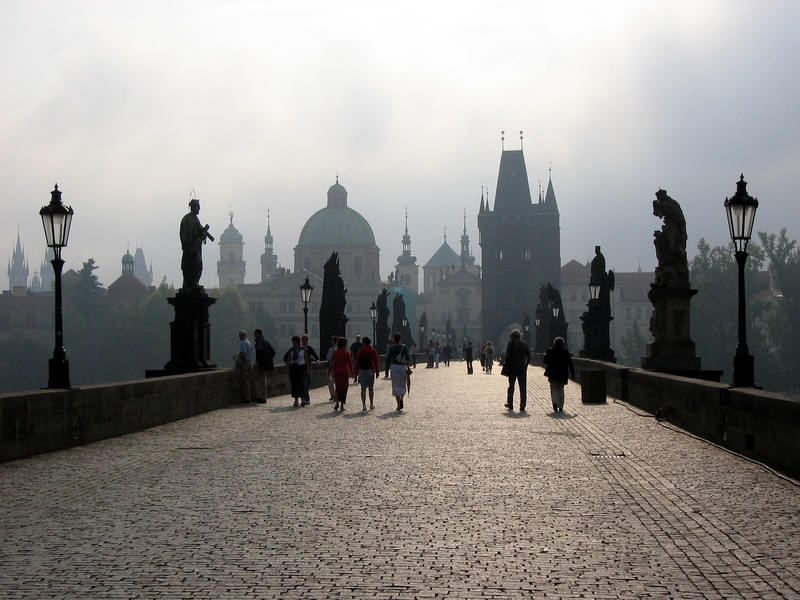 Refer to Bahn, raileurope, czech transport, eurorail, eurolines and westbus(for buses). For hotels, i’ve decided to try airbnb.com this time. We need an apartment, since we are bringing kid. We need to save a bit on the budget so cooking our own food seems to the best way. We got a cheap apartment that comes with a kitchenette airbnb offers. Let’s just hope my instincts play it right this time. Will update on that. Oh, Bridge. InsyaAllah i will reach you soon! Salzburg idea came about after my colleague left for it. I had to google Salzburg while ‘searching for a place to go’. Lol, don’t ask. But yeah, after googling it, i knew i had to go too! It’s such a beautiful place! I have decided that we try not to take any local tour offering to bring us to the places that we want to go. And that will mean taking public to reach those places. Hmmmm… but hey, insyaAllah we can. Internet is such a powerful tool for me. And google maps help a lot! 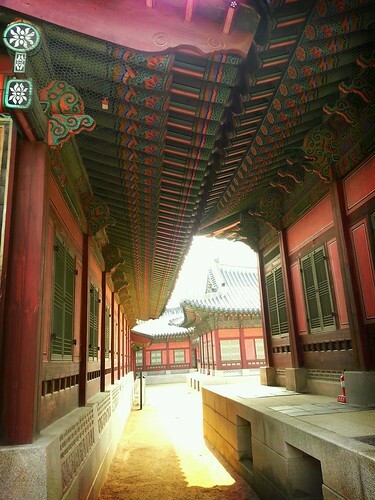 Gyeongbokgung Palace was one of our must-go-see destination while in Korea. 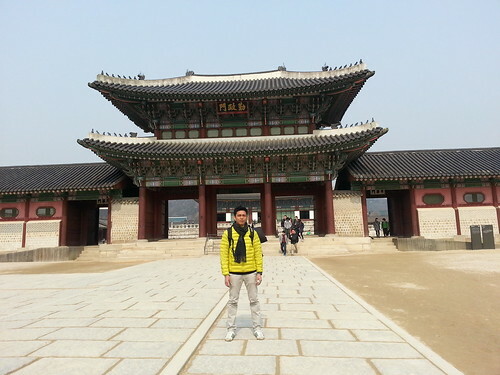 Making a trip to one of Korea’s Five Grand Palaces built by the Joseon Dynasty in was one of my dreams haha. You know, since it’s arguably the most beautiful and remains the grandest of all five palaces. 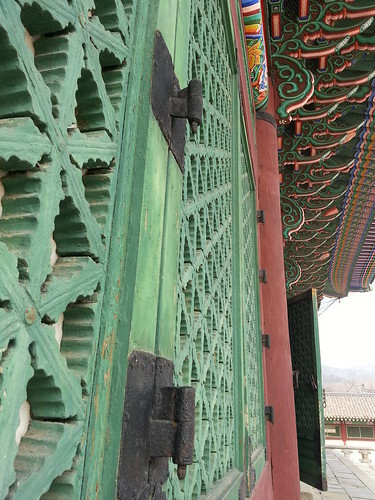 What we first noticed as we entered Gyeongbokgung was how well-reserved the palace is. The palace is well-kept and clean.. Too cleaned up we thought that we went around looking for cracks and whatnots. As we moved on in further, we found out it was rebuild to its original form in the early 20th century after many parts of it were destroyed by the Empire of Japan. Ahh …that explains why the palace was too perfect even though it was built in the late 14th century. 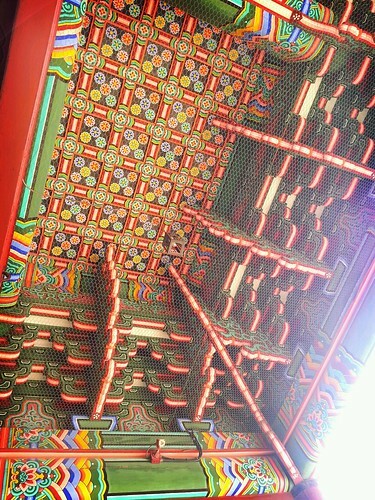 But needless to say, the achitectural was captivating and colourful. 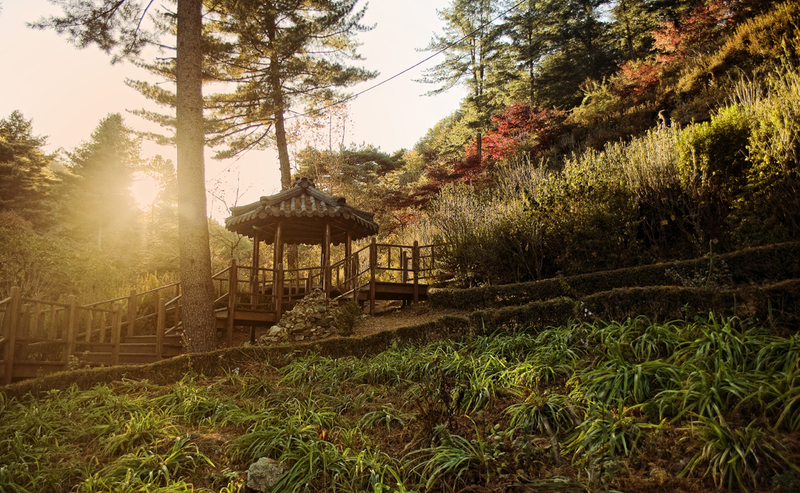 The first of the first things I did while researching for the trip up East was to find out places, parks or mountains we could hike up to. 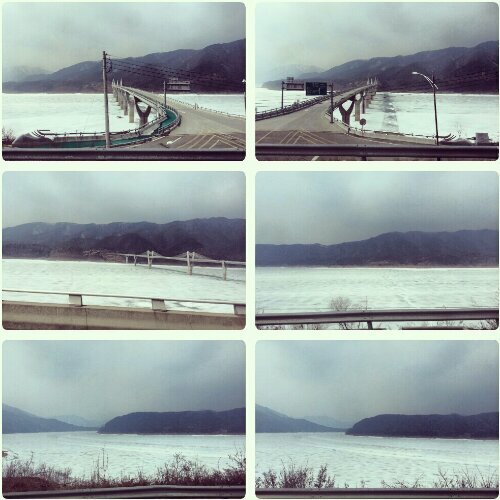 It is something we decided to do for our every trips. To escape town for a day or two he say. A-okay.. I was looking out for a nice guesthouse to stay over in Seoul, and guess what did I found?? 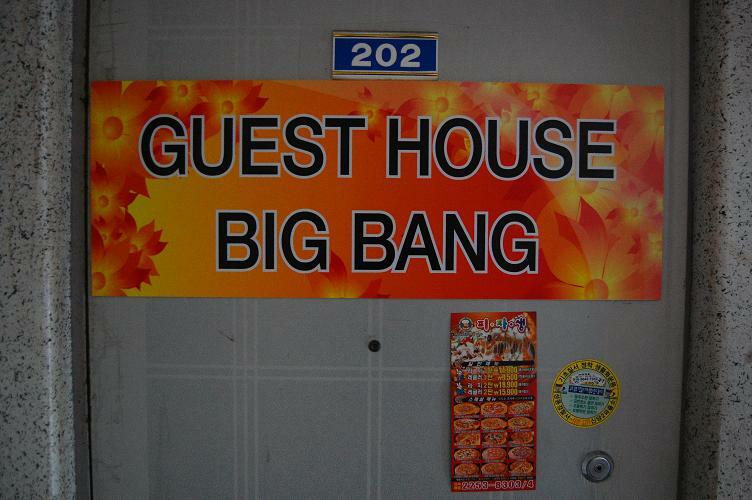 BIG BANG Guesthouse!! No joke!